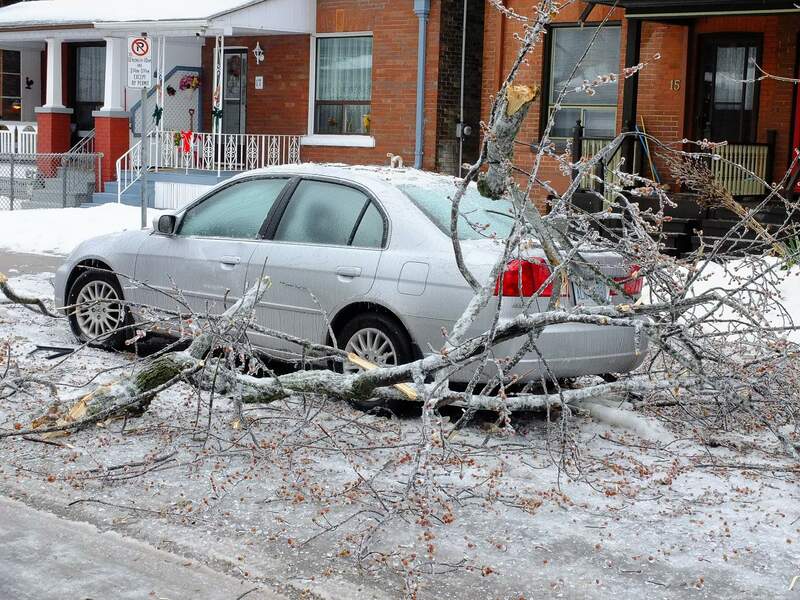 Two weeks and an eventual 75 million dollars later – and lots of grief for many people – the Ice Storm of late December 2013 is over in the Greater Toronto Area. 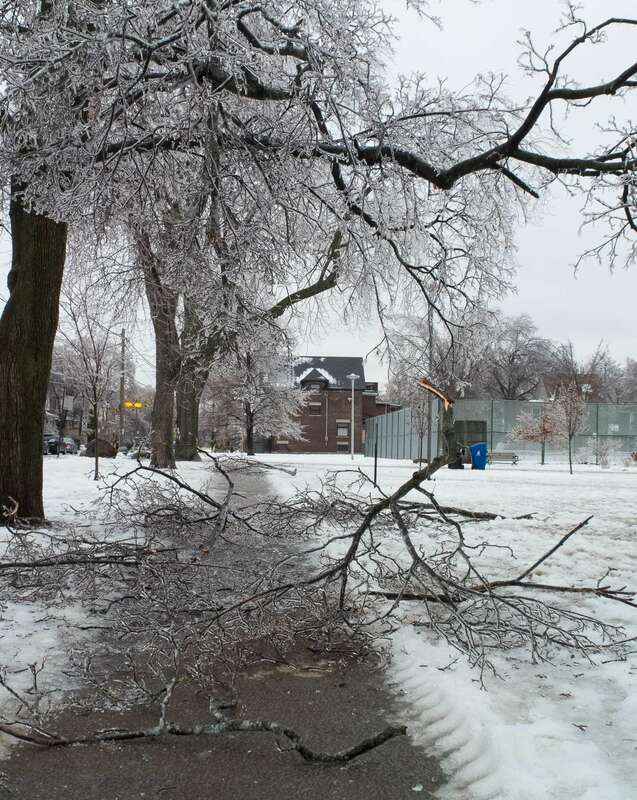 As I write this today, almost all residents have their electricity back on and city crews are dealing with the thousands of downed branches all over the city streets and parks. 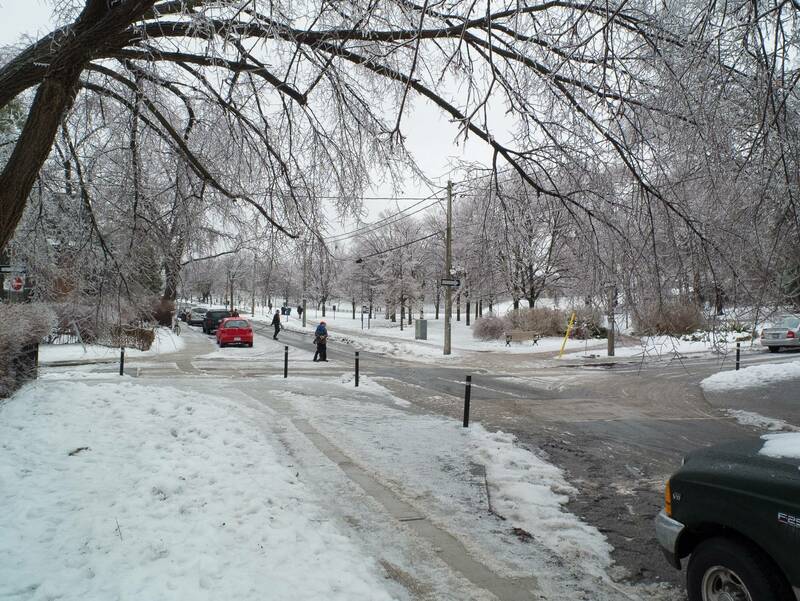 A few days before Christmas eastern Canada was walloped with what the forecasters on TV were labelling a “major weather event”! 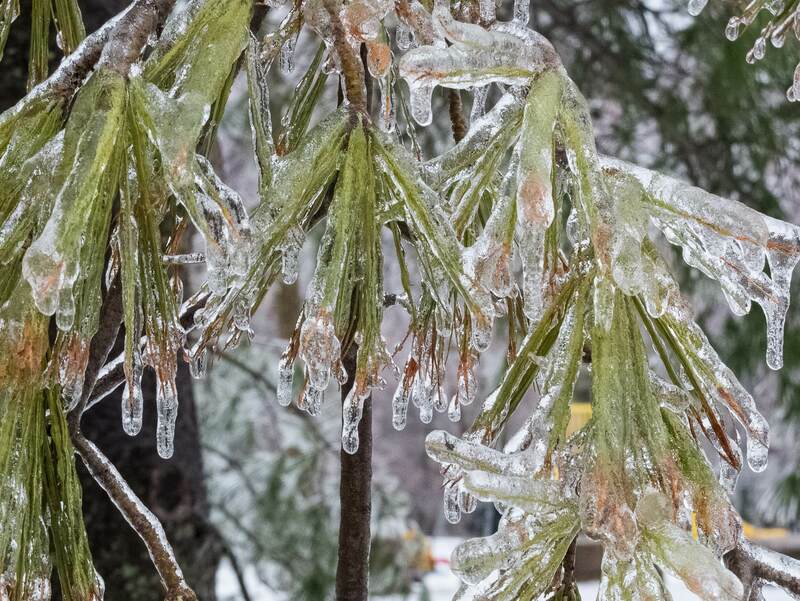 A mass of moist air coming up from Texas collided with a cold blast from the Canadian northwest and the first challenge was a couple of days of freezing rain and sleet that blanketed everything with a coating of ice. Our backyard became a skating rink and walking anywhere became an iffy proposition. 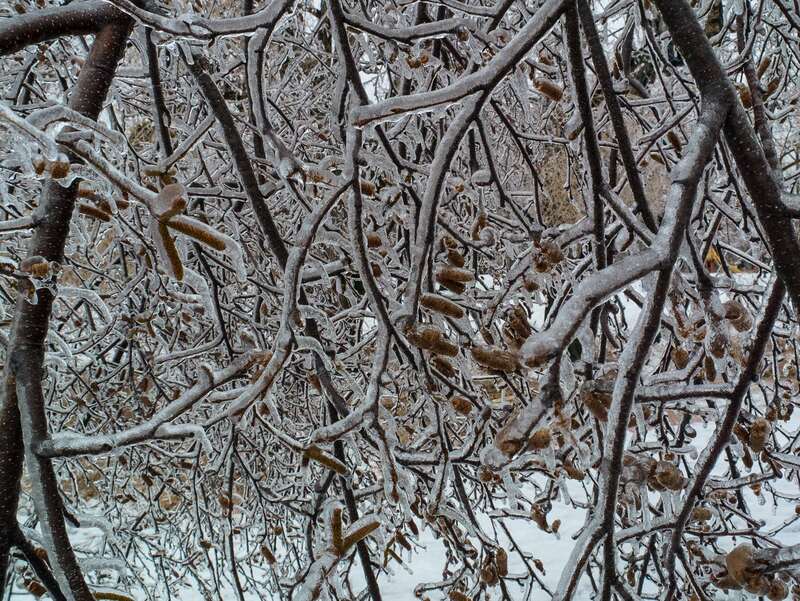 While on our daily rounds of the neighbourhood Viggo and I – well, let’s make that I – was captivated by the aesthetics of ice on branches. 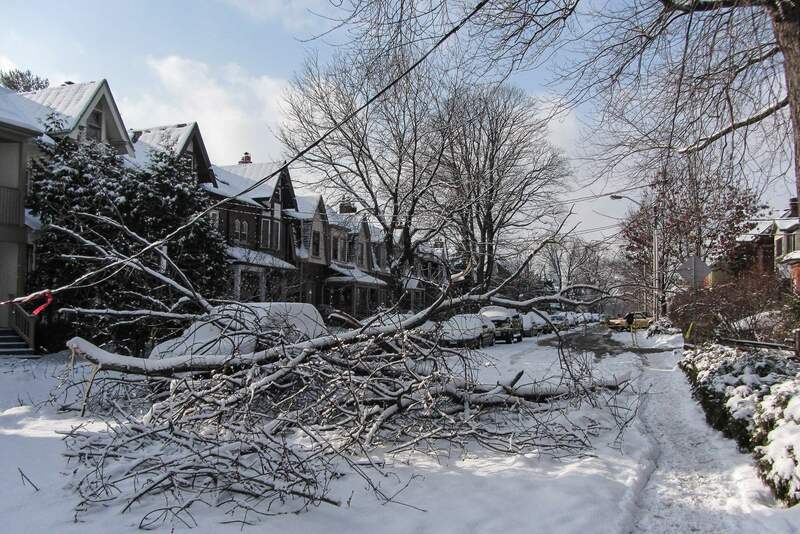 Meanwhile, about 300,000 people in the Toronto area were without electricity that first morning because of ice-laden branches breaking off and falling on hydro wires. 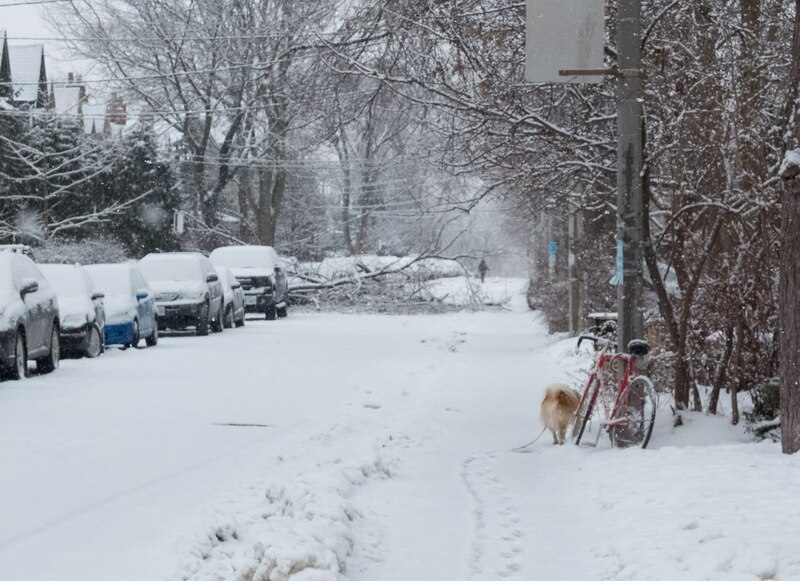 Our neighbourhood was one of those spared this pre-Christmas electricity outage but there was still evidence all around us. While the neighbourhood’s electricity was not cut off, some people did get a nasty surprise when they looked out of their windows on that first morning. Scratched vehicles – and worse – were a common sight. 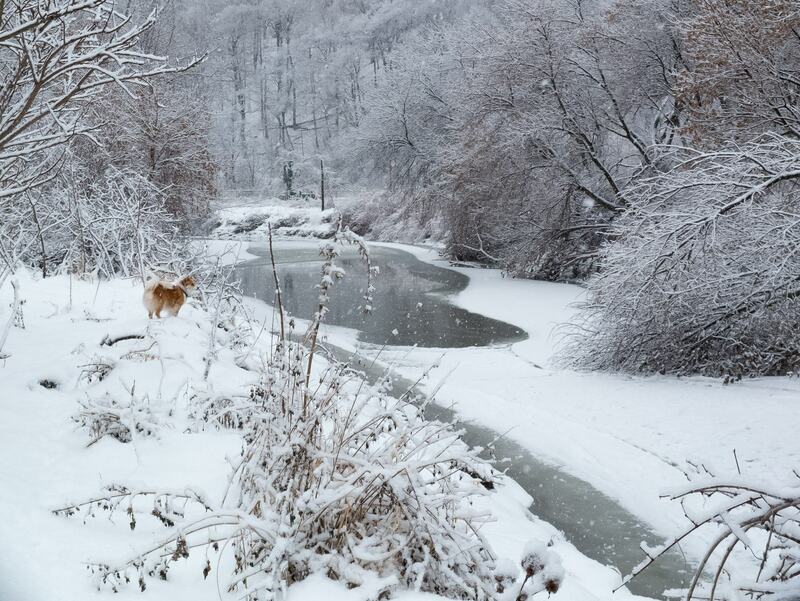 For the first two days we had to avoid all of our usual walks because of the ice. 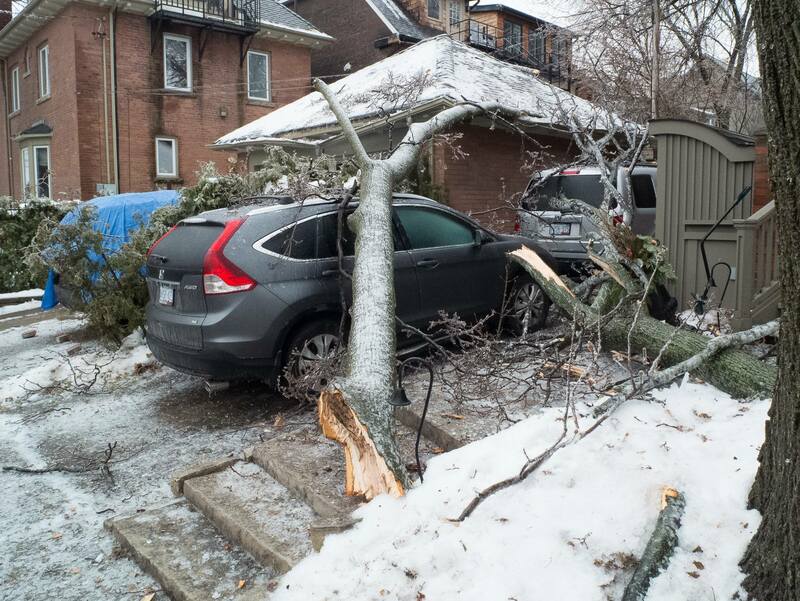 Meanwhile, 200,000 Torontonians were still without power as we hit Christmas Day. A fresh snowfall that morning could not have made things easier for the Hydro crews working flat out for the past seventy-two hours. 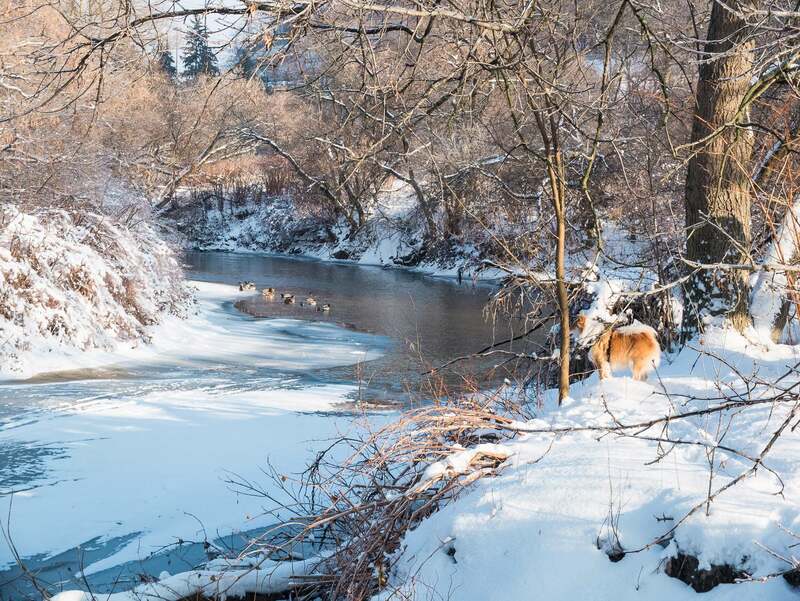 We would spend the next few days going down to our favourite walking route – the trails down along the Don River as it passes through our neighbourhood. 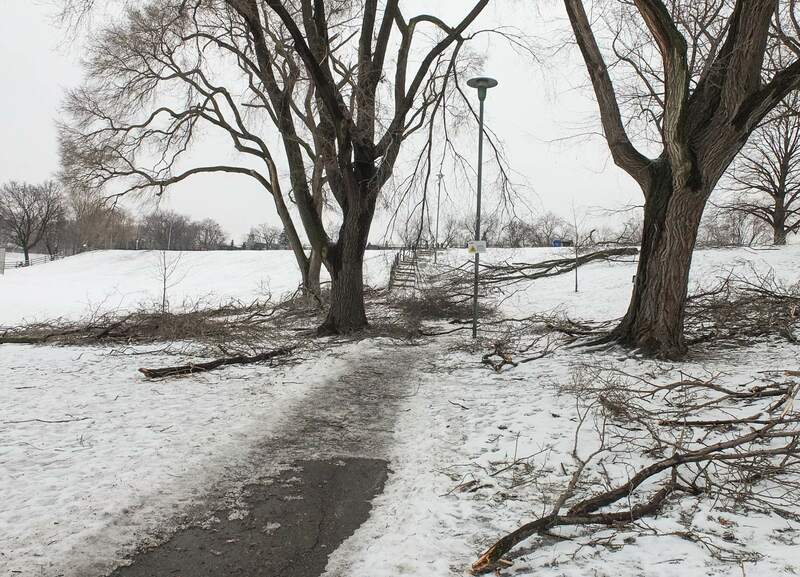 Given the conditions and the absence of cyclists and joggers – I knew that it would be almost 100% safe to let Viggo off-leash. We would also not have to worry about the salt that some residents and enthusiastic city workers dumped on the sidewalks. We came to one of my favourite spots on the river bank and Viggo found something of interest to monitor. I didn’t notice until I looked at the image at home that this is where he lost one of his rubber booties! There it sits in the snow, waiting for me to pick it up when the snow melts again. Where in the world is Viggo the Icelandic? 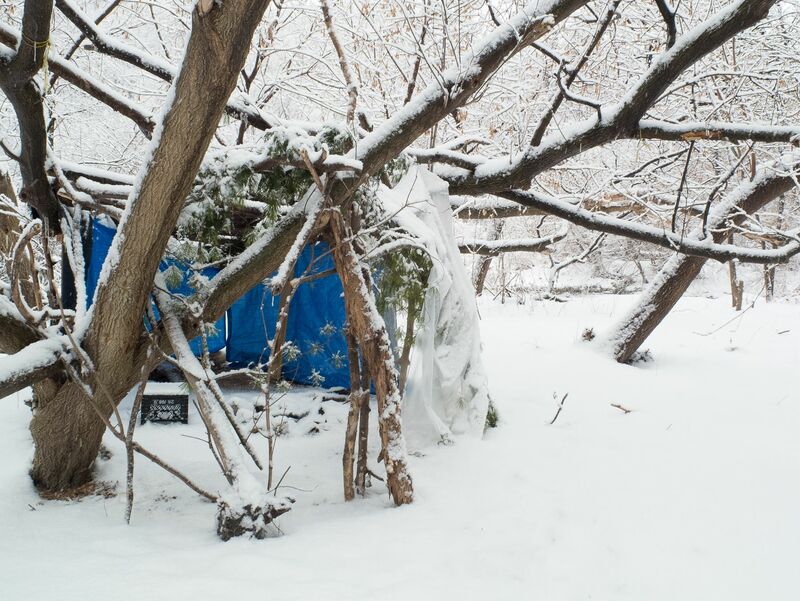 I looked around for the Somali guy whom I first met last winter down in the valley; when I met him a couple of days before Christmas this year he was going down the Riverdale footbridge steps to his camp in the valley. He was carrying a dozen eggs, some juice, bread, and the Saturday edition of the Toronto Star! I am not sure where his shelter is. 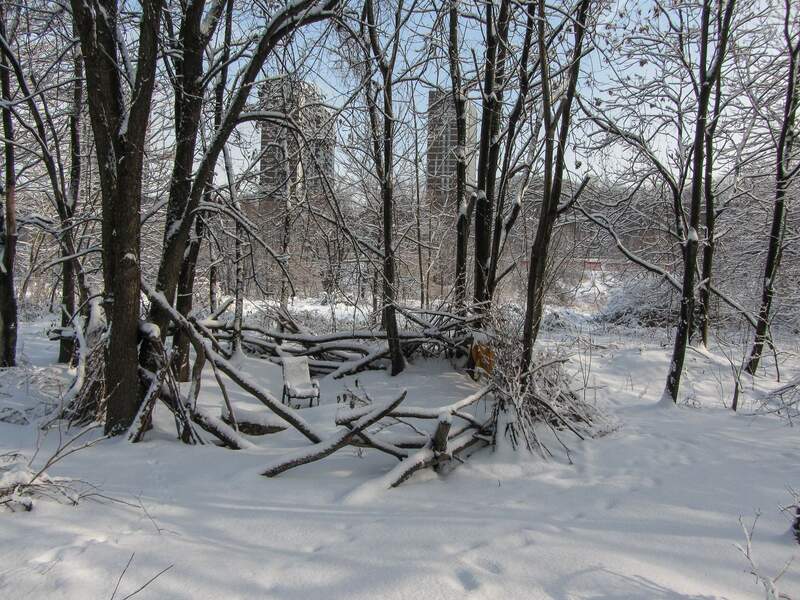 We make our way back to the footbridge which takes us over the Don River and back to Riverdale. 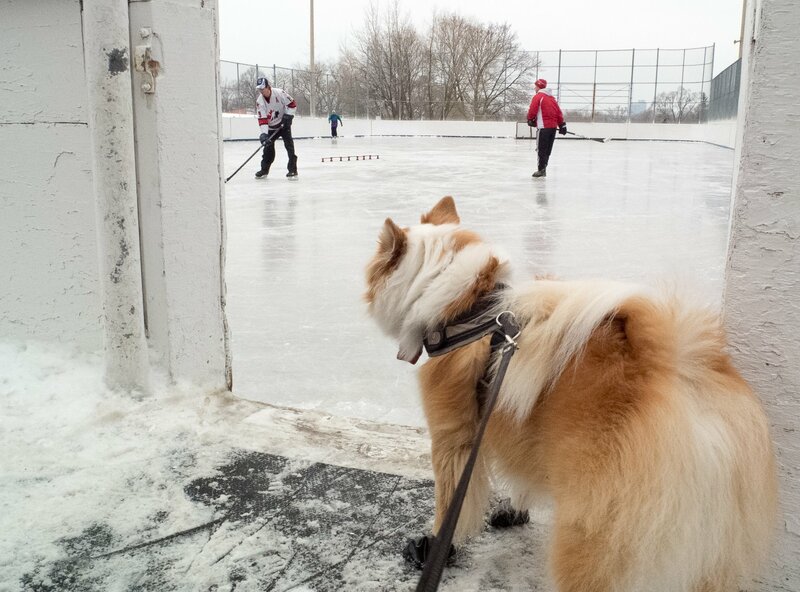 On our way we look west to one of our other places to go – the large off-leash area of Riverdale Park West. Some of the usuals are there! 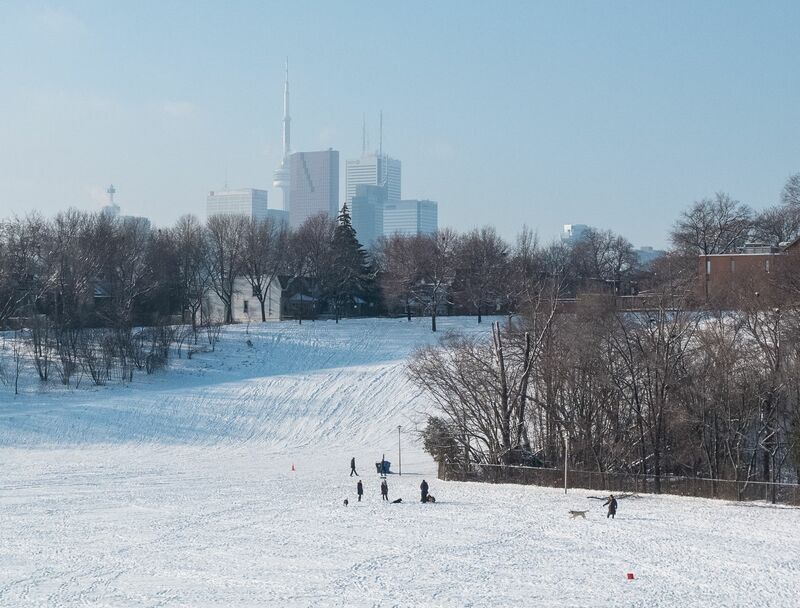 Riverdale Park West – an off-leash area for dogs. 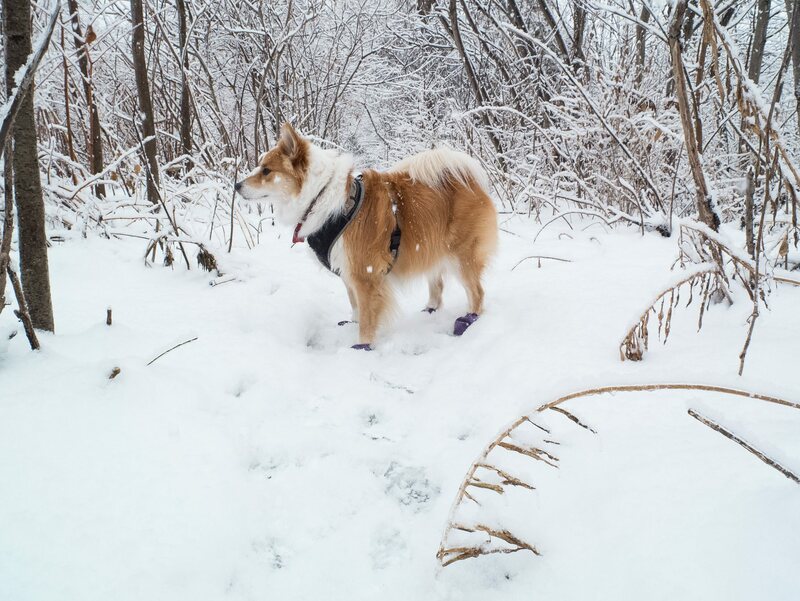 We had gone down into the valley because when we passed by there were some tobogganners sliding down the hill – and Viggo somehow includes them in his list of things to be herded. 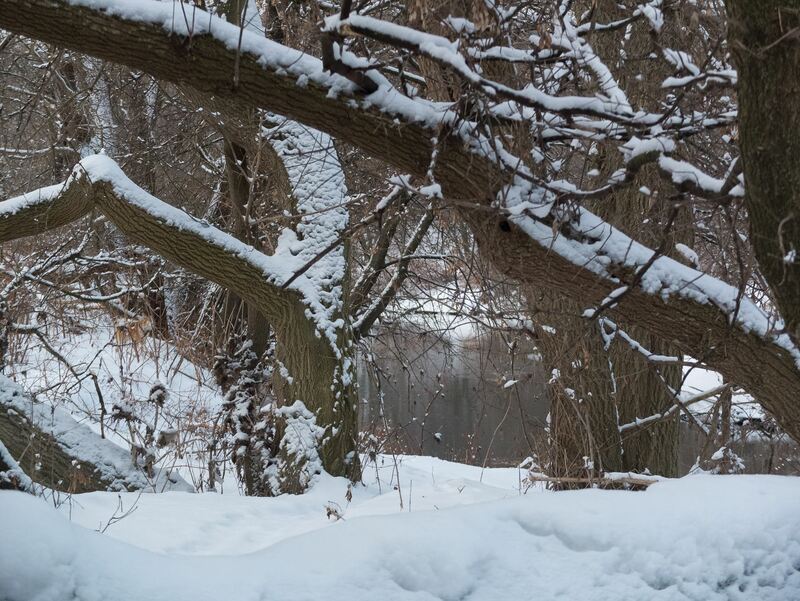 At least down along the river on a snowy day it is only the ducks! looking south from the Riverdale Bridge – the CN Tower and downtown are in the distance. Down the steps we go to the path pictured on the left hand in the image above – but instead of walking south towards the lake we head north on the trail – under the the Bloor Street Viaduct and beyond in our rambles. 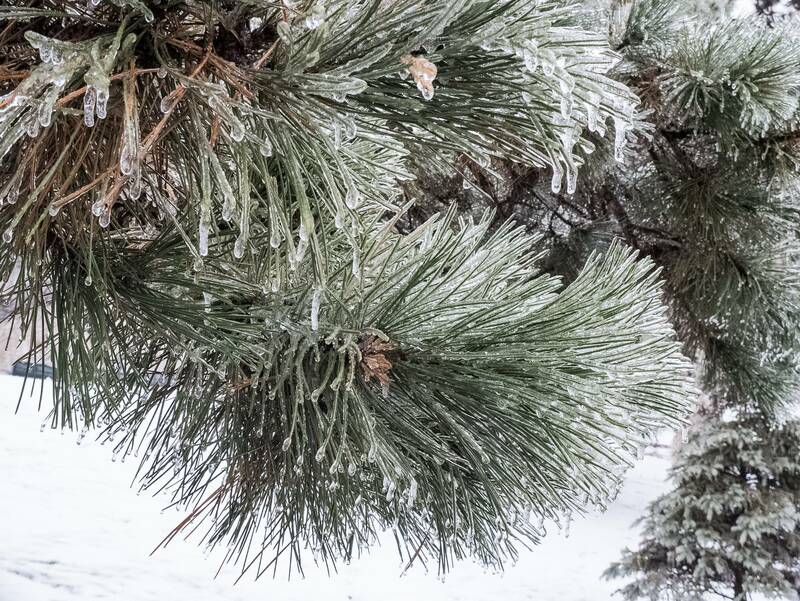 Today (January 2, 2014) it got down to -17°C with the wind knocking down the temperature to -27°C. Tomorrow will apparently be even colder – down to -33°C with the wind chill. Here is a brief writeup of the details. 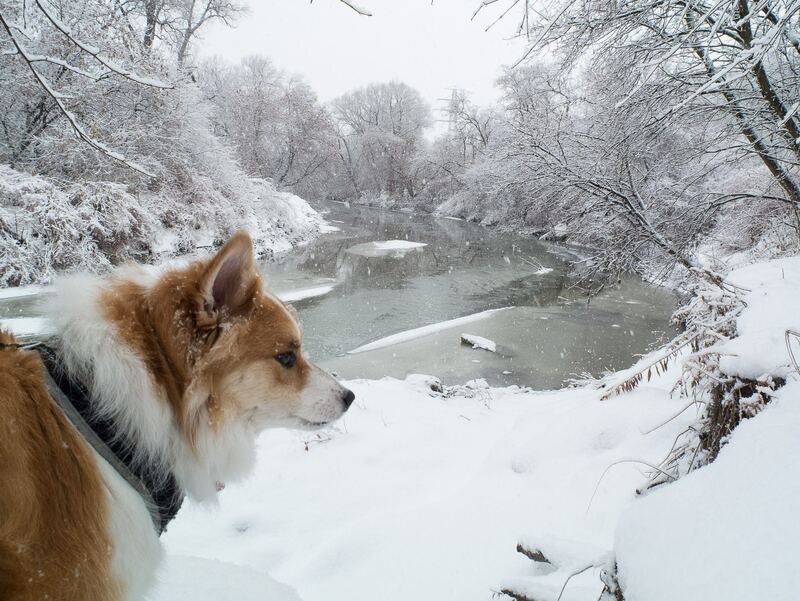 Viggo and I will not be doing any extended adventures down along the river, contenting ourselves instead with short thirty minute walks in the neighbourhood. 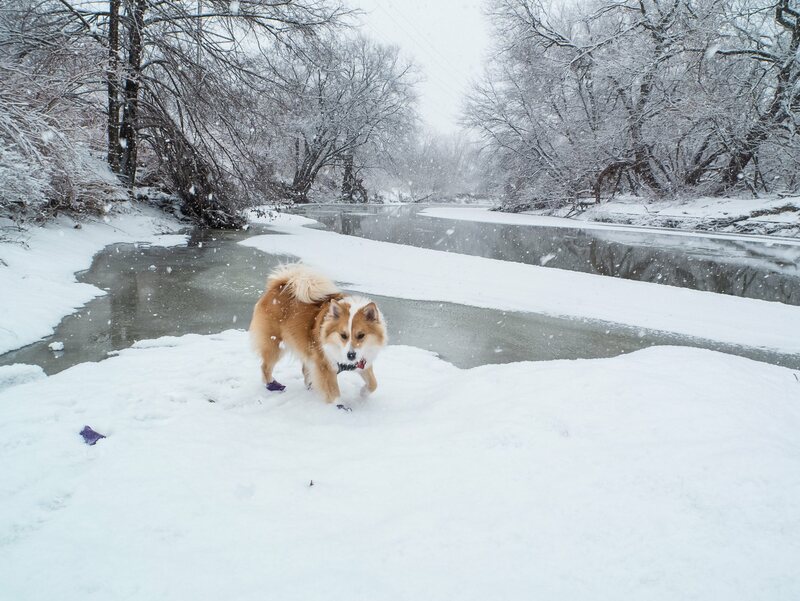 I still can’t figure out how dogs can take the cold the way they do – especially their paws. 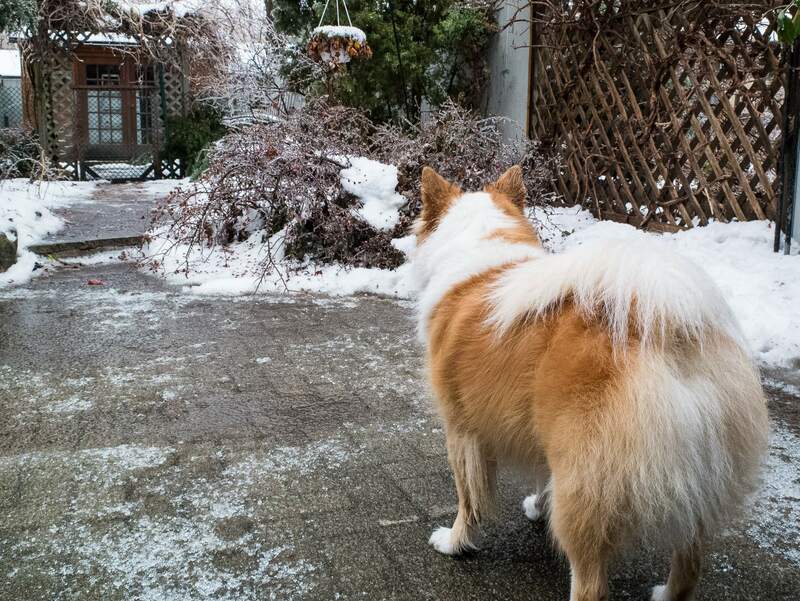 Out I go with four layers of synthetic clothing and insulated snow boots and my little Icelandic sheepdog revels in the snow and is oblivious to the cold. Viggo eying potential herding job – I hang on tightly! 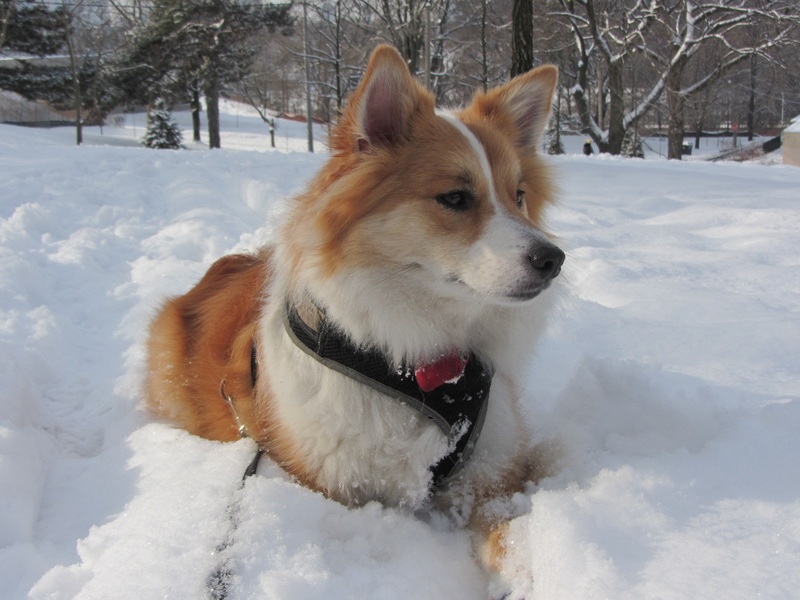 Clcik here or check out the Viggo’s Den folder on the bottom of the header for more posts on our Icelandic Sheepdog, Viggo. Here is the problem faced by the Works department over the next eight weeks. 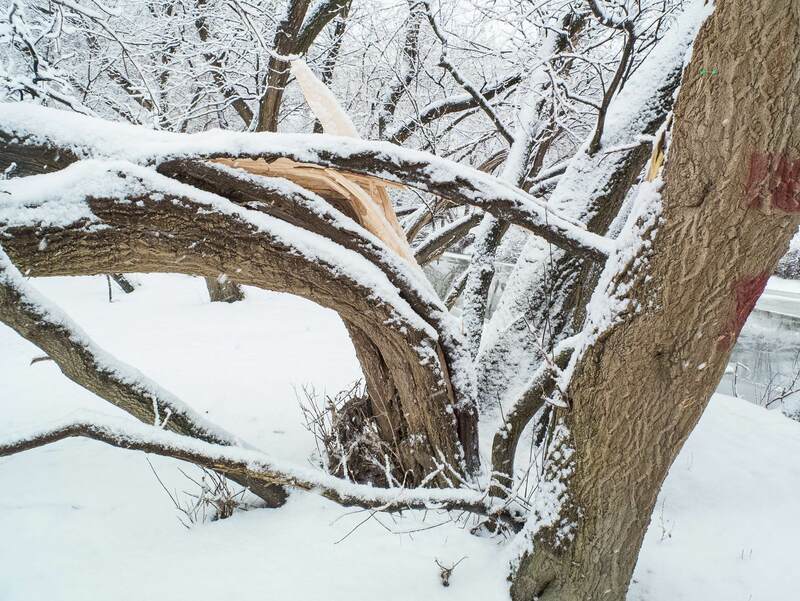 Given Toronto’s estimated ten million trees, someone came out with an unsupported statement that 20% of them have been damaged or have broken branches. While that may be wildly over-estimating the problem, even if it is only 1%, that would mean 100,000 messes like the one below to clean up! Ridicule be damned – call in the Canadian Army! 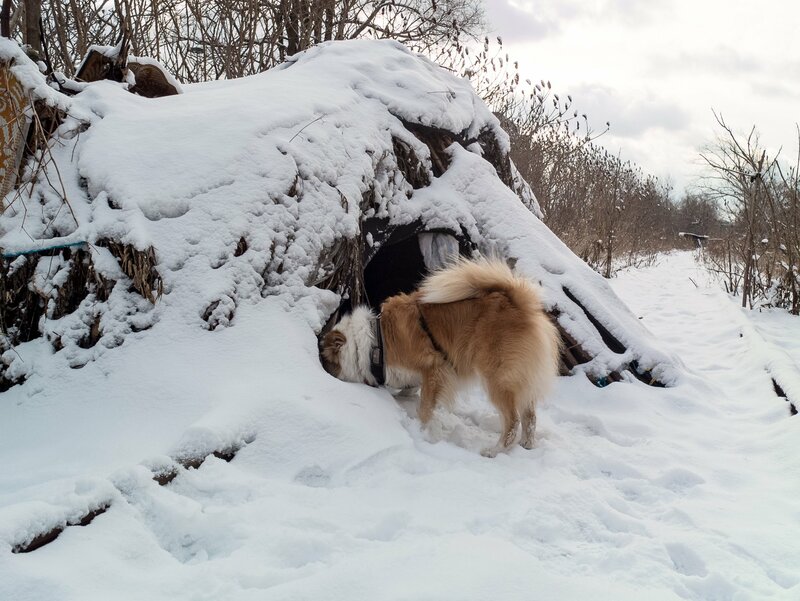 This entry was posted in Ramblin' With Viggo. Bookmark the permalink. Thanks for posting. I never understood the scope of damage even though I live just 2 hrs to the west. 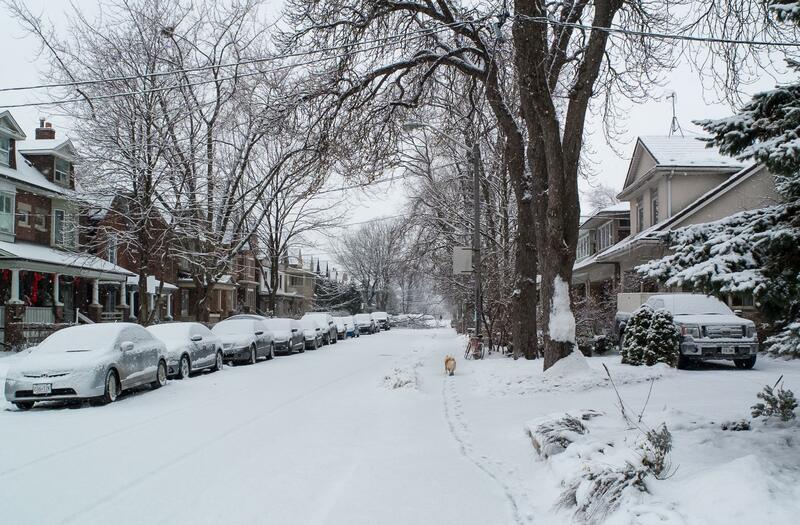 Toronto has taken such a ribbing for the time that Mayor Mel called in the army to shovel snow after the Blizzard of 1999 that we’re kinda leery of using the word “emergency” ever again! Given the great delight that other Canadians take in cutting up anything to do with Toronto, the last thing we want is to give them yet another punch line to a joke about us.